If you are ready to sell your car to junkyards near me open now, we are prepared to guide you on how to under our Sell My Car for cash section. We assure you we are the best choice when you decide to Sell My Car Redcliffe. Visit, call or email us with your vehicle details. The details should include the make of the car, the model of the vehicle, the year of manufacturing and the mileage is driven to give us an idea of your car’s worth. Once we receive the data, we will provide you with an instant quote generated by our system. The next step is for checking the vehicle condition by conducting a physical examination. On completion of the investigation, we give you the final offer. You can accept immediately or may take time to think about our offer. Call us when you are ready to accept or reject the offer. If you accept the offer, we arrange for car pick up at a date and time given by you. On the designated day, we remove the car free of cost. And make the payment. Therefore, whenever you feel like you want to sell my car for cash now, come to us and you will not be disappointed. When your car turns into clunker or falls dead on you, the only worry you have is how to get rid of it. Car body removal Brisbane is an expensive service, and unless you find a buyer ready to bear the expense for car removal, you will end up paying more than what you earn from your car. 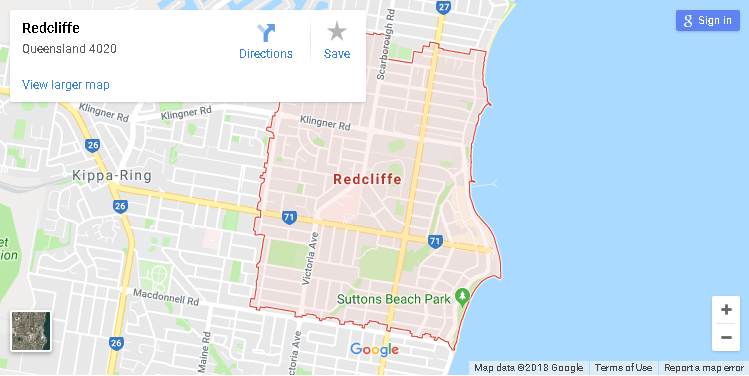 However, if you approach reputed Car Removals Redcliffe, us, you will not only get the benefit of free scrap car removal Brisbane but also get money in exchange for your car. So, say bye-bye to your worries and Hi to us today. QLD car wreckers believe in Car Recycling Redcliffe. Car recycling not only helps keep a check on the pollution but also helps in reducing metal waste, the burden on mineral ores, usage of power and water. Thus, by selling your car to us, you benefit from the cash, we benefit from the parts and recycled metal, and the environment helps from low or minimum wastage. Making services of auto recyclers Brisbane a win-win for all parties involved. Therefore, if you have a car, truck, buses, or any other vehicle that you no longer use, call Car Removals Brisbane to get rid of it instead of wasting your valuable space and watching your car deteriorate day by day. Do you have a car you no longer need? Contact Car Buyer Redcliffe. Sometimes people feel that they will be able to sell the car privately. However, once they embark on the journey of private selling of the vehicle, they realise it is not an easy thing to do. Many factors play obstacles in personal car selling. Auto Wreckers Brisbane list down the benefits of selling your car to us – a car buyer online Brisbane as well offline presence. We buy all cars as long as they are legal. We don’t differentiate because of the make and the model like private buyers. When you sell your car to us, you don’t have to incur any expenses. Whereas if you are selling it privately, you have to bear the cost of advertisements and sometimes even car removals. You have to spend money and time on completing paperwork. And if you sell your car to us; we take care of all the necessary paperwork without charging anything to you. Finding a buyer, completing the paperwork and getting the money may take days or months to complete the deal. And when you opt to sell your car to us, it can happen on the same day if you prefer or in a couple of working days. So, if you think carefully and compare the pros and cons, you will realise that we are the best choice for Cash For Cars Brisbane. You will come to us and tell us to buy my car Brisbane. Contact us for the best Car Wreckers Redcliffe. We are proud of the fact that we are not only great Redcliffe wreckers but are also #1 Car Wrecker Brisbane. So, if you need cash for scrap cars Brisbane or money for unwanted vehicles, Brisbane calls us. You can also call us when you need cash for cars Redcliffe, car removals Brisbane, unwanted car removal Brisbane and Brisbane scrap car removal. You can get $99 to $12999 for your vans if you contact Van Wreckers Redcliffe to get rid of your unwanted campers. We buy vans of any shape, size and brand. The condition of the truck is also immaterial to us. So, make your worthless van work for you and contact Van Wreckers Brisbane to get the best out of your waste vehicle. If you are looking for Used Spare Parts Redcliffe, then come and visit us. We have all types of a used spare part to match any brand and make of the car you may own. We sell quality used parts at very competitive rates. So, don’t waste your money and buy Used Spare Parts – Brisbane from us. You can call us on 07 3338 8937 or email us at info@qldcarwreckers.com.au. You can also visit our contact us page on the website for filling a Free Quote form.